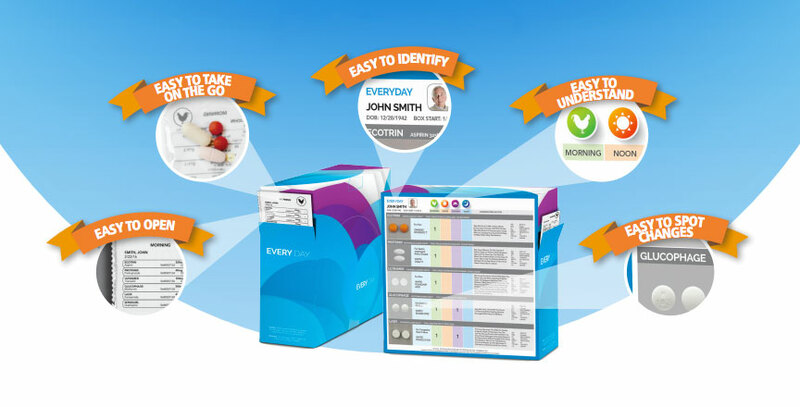 Improving medication adherence, one package at a time. Research shows that medication errors are the primary cause of re-hospitalizations among the senior population as they transition back home. Grane Rx has a solution. Meds2Home delivered by Grane Rx is an easy-to-use medication adherence system that combines in-home medication delivery with health literacy tools customized to each patient. This program is designed specifically for patients at home with 6 or more medications and other progressive post-acute care healthcare organizations interested in providing the best medication compliance tools in the new pay-for-performance environment. 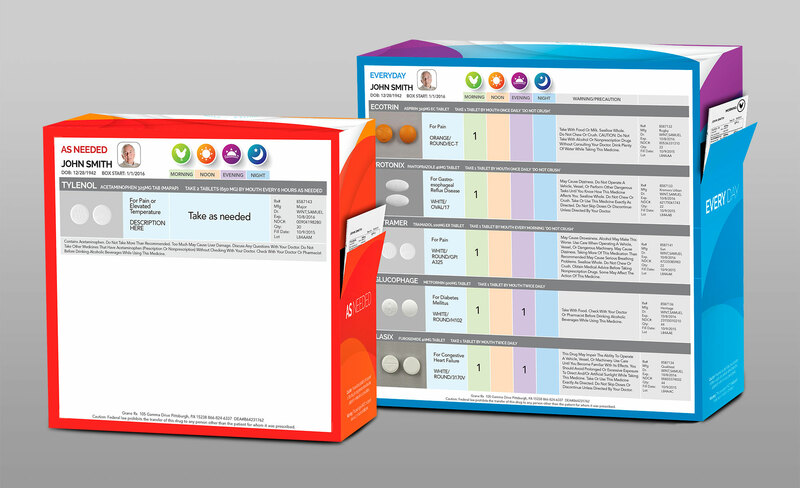 Medications are packaged in color-coded, smart-labeled boxes with presorted medication pouches. Medications are shipped directly to the patient’s home for no additional costs. Patients receive a medication calendar and easy-to-read literacy information, available in 22 different languages. Monthly our customer service team will call the patient to inquire about any medication changes. Improving medication adherence among the senior population requires a unique approach. That’s where Meds2Home can help.